Dr Mohd Akbar bin Md Said, has been appointed the Director General of the Malaysian Rubber Board (MRB) effective 24th July 2015. As DG, he also becomes Chairman of the TARRC Board. 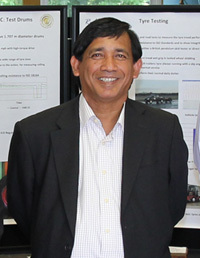 Prior to his appointment, Dr Mohd Akbar was the Deputy Director General (Research & Innovation) of the MRB and was responsible for the direction, planning and strategies of research and innovation in MRB and worked closely with the Ministry of Plantation Industries and Commodities, the Malaysian rubber industry and other agencies. Dr Mohd Akbar has over the 35 years of service and was the Head of the Crop Management Unit prior to his promotion as the Deputy Director General (Research & Innovation). All at TARRC look forward to the next few years under his giudance and leadership.